Desktop Linux, also called Linux on the desktop, refers to specialized Linux distributions with features designed for desktop personal computer users. These features include a graphical user interface and personal use applications. Some Linux distributions have targeted the desktop role specifically, while others include all the software available for the platform. In that case, the user will be given the choice to select either a "desktop" or "server" type when the operating system is installed. Historically, UNIX and other Unix-like operating systems have been utilized on servers, mainframes, and workstations in corporate or scientific environments. Beginning in the late 90s, a few Linux distribution companies, such as MandrakeSoft, began to advertise their systems for low-end desktop computers. Linux offers many desktop alternatives. The most popular desktop environments are GNOME, KDE, Xfce and LXDE. These are rather large collections of desktop programs, rather than bare bones window managers such as FVWM, IceWM amongst numerous others. 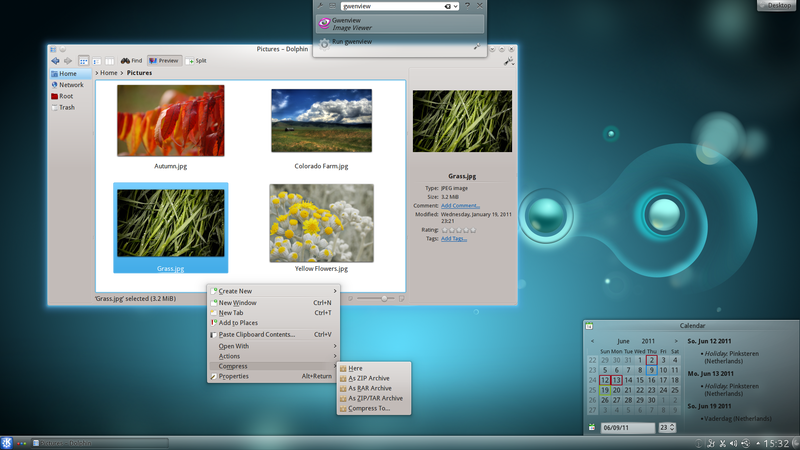 These environments present a GUI using a desktop metaphor. All of these environments allow the user to set many personal preferences and to perform common system management tasks. The Compiz window manager expands upon the concept of having multiple desktops by rendering each of the user's two dimensional desktops on the surface of a three dimensional cube. Regardless of the source, all Linux desktop applications use the X Window System and thus benefit from features like networking (remote display) and quick mouse-only cut, copy, and paste. Mouse selected text is automatically copied, and it can then be pasted using a middle click, without the need to resort to use of the keyboard. Desktop Linux environments have been improving in appearance and overall integration over time. This has led to wider adoption of the platform. 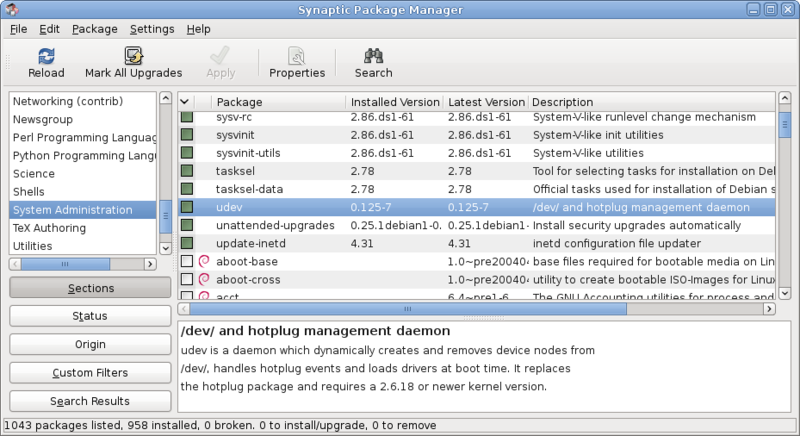 Most Linux distributions provide a program, such as Synaptic or PackageKit, for browsing a list of thousands of free software applications that have already been tested and configured for a specific distribution. These free programs can be downloaded and installed with one mouse click. A digital signature guarantees that the program was not modified after the download package was created and the package manager automatically tracks and installs updates as they become available. Since at least 2000, a meme known as "20XX will be the year of Linux on the desktop" or "year of the Linux desktop" (YoLD) has been published by a number of tech-related magazines and websites. This refers to an expected breakthrough in Linux adoption by business corporations and personal users. The reasons for these forecast gains include the installation of a Linux distribution on the desktops of workers for organizations or companies who may not be immediately or otherwise involved in the computing industry, or the acceleration of development for specific applications which find their greatest use on desktop Linux distributions. It can also refer to a breakthrough in the number of pre-installed Linux distributions on personal computers being sold by PC manufacturers such as Dell and Hewlett-Packard. The performance of Linux on the desktop has been a controversial topic, with at least one key Linux kernel developer, Con Kolivas, accusing the Linux community of favouring performance on servers. He quit Linux development because he was frustrated with this lack of focus on the desktop, and then gave a 'tell all' interview on the topic. ...Linux has swiftly become popular in small businesses and the home...That’s largely the doing of Gutsy Gibbon, the code-name for the Ubuntu 7.10 from Canonical. Along with distributions such as Linspire, Mint, Xandros, OpenSUSE and gOS, Ubuntu (and its siblings Kubuntu, Edubuntu and Xubuntu) has smoothed most of Linux’s geeky edges while polishing it for the desktop...It’s now simpler to set up and configure than Windows. Measuring the adoption of Linux on the desktop is a difficult proposition and this has caused controversy as to how many users there actually are. individual websites do not attract a representative sample, due to their content. problems tagging identification strings as to Linux or even distribution results in high numbers of "unknown operating system". identifying computers that operate from behind proxies. the multiplying effects of botnets which tend to create the illusion of more insecure PCs, running Windows systems. the fact that not all PCs are connected to the internet and used for web browsing.